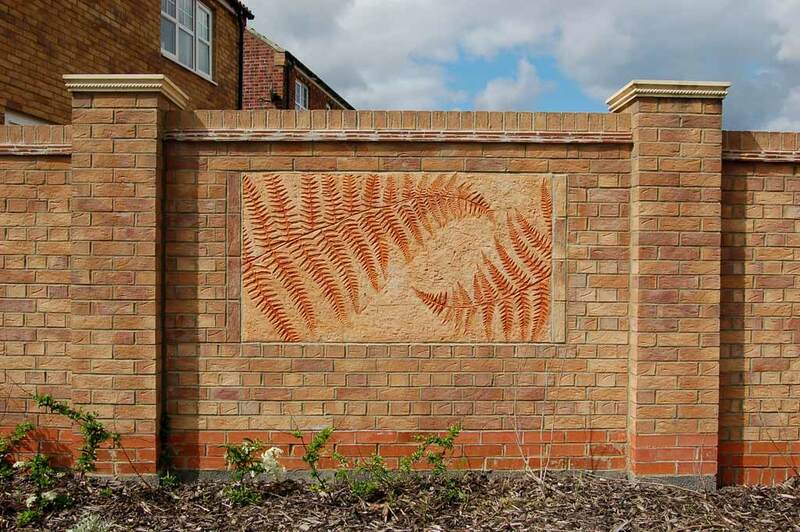 Client: Yuill, Miller & Haslem Homes. 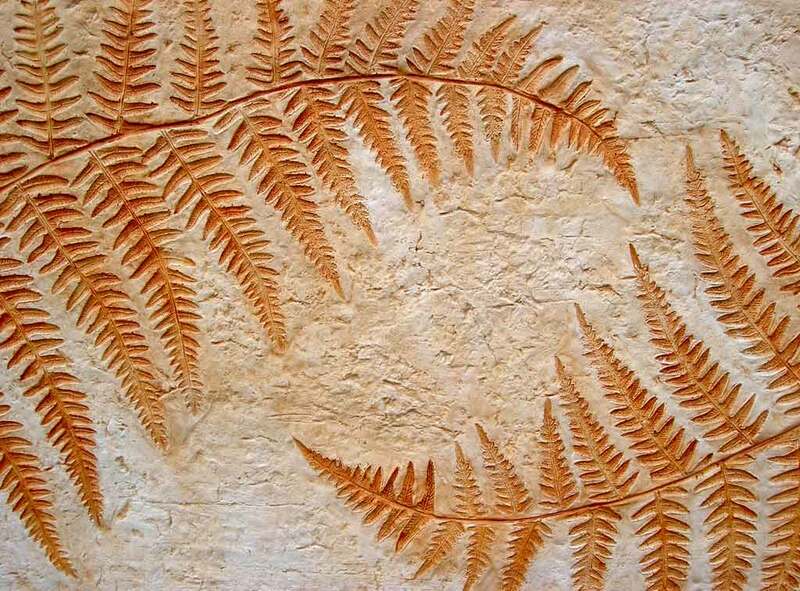 Fossilization takes the form of giant fern leaves cast into stone as if fossilized by geological phenomena and time. 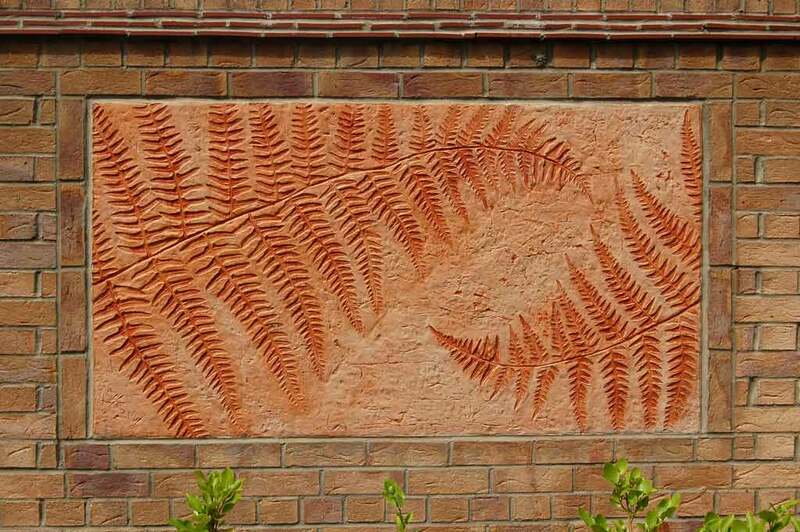 The sculptures are a direct reference to the areas rich geological heritage and striking natural coastline. 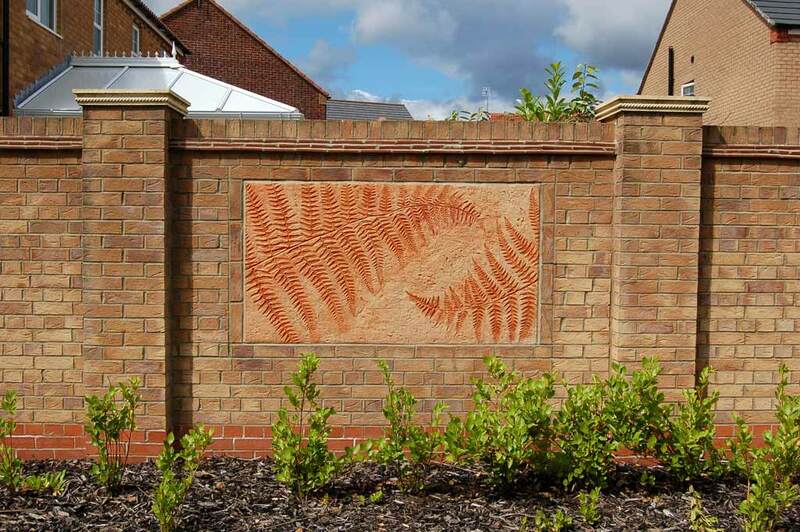 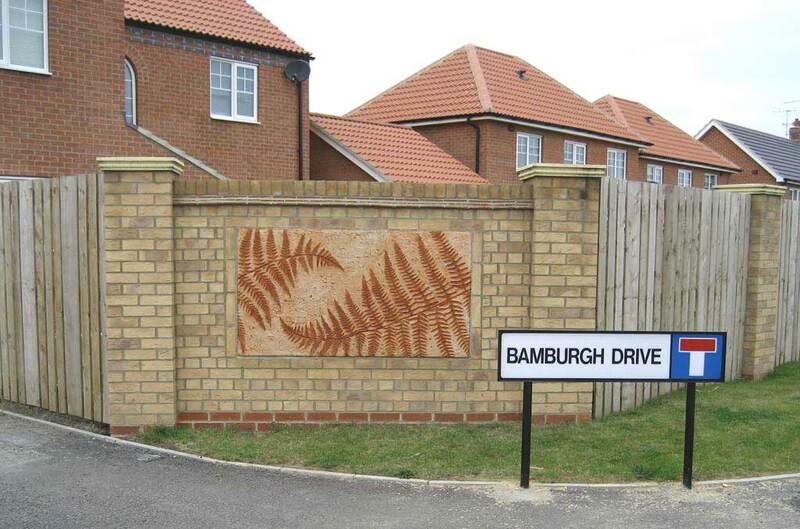 These sunken relief sculptures are repeated sixteen times within the perimeter walls of the East Shore Village housing development at Seaham, County Durham.